In our present time, we are able to create any type of gaming experience we want. Sure, it might not work out all the time (like in the case of the Xbox Kinect or the PlayStation Move), but we are at a point where we can make games without many technical limitations holding us back. To me, that is pretty darn fun considering all the possibilities that game designers can pull off nowadays. The game I'm reviewing this week is a fine example of something you couldn’t really pull off back in the day, and that game is Beyond: Two Souls for the PlayStation 3. I have already talked about Beyond: Two Souls and the developer, Quantic Dreams, and you all know that I was very excited about this game. Did this mixture of a cinematic experience combined with the star talents of Ellen Page and Willem Defoe make for a breathtaking experience? Personally, I think this game did have a very captivating experience, but like any other game, there are some things that I didn’t care for. I can understand why people like it, and at the same time, I can understand even more why some people wouldn’t be attracted to a game like this. Let’s get started! Ellen Page stars as the game’s main character, Jodie Holmes, who has a mysterious ghost connected to her called Aiden. You essentially follow her through about 15 years of her life, from Jodie as a young girl to Jodie as a young adult. You are also introduced to other characters, like Nathan Dawkins (Willem Dafoe), a scientist who is like a secondary parental figure to Jodie, alongside another scientist named Cole Freeman (Kadeem Hardison). Throughout these 15 years of Jodie’s life, you observe her relationship with the two scientists, Aiden, and a CIA agent named Ryan Clayton (Eric Winter), who helps her become a member of the CIA. Ryan also assists Jodie in her experiences with the spirit world, which is called the Infraworld. For the most part, the story can be engaging; it jumps through 3 different parts of Jodie's life within the 15-year time span, kind of like in the film Pulp Fiction. In addition, I truly didn’t know where the story would be going, due to how it constantly switched the setting and time period. I also enjoyed the performances by Willem Dafoe and Ellen Page, as well as the other actors who also performed magnificently. I know some say that the story is like a bad movie from the SyFy channel, but I disagree since it took a lot of thought. It has underlying themes of death, love, etc. that movies on the SyFy channel do not have. I do have some issues with the story, but I will address to those negatives later. Overall, I enjoyed the story and its characters. This game definitely shows what you can do with storytelling in video games. 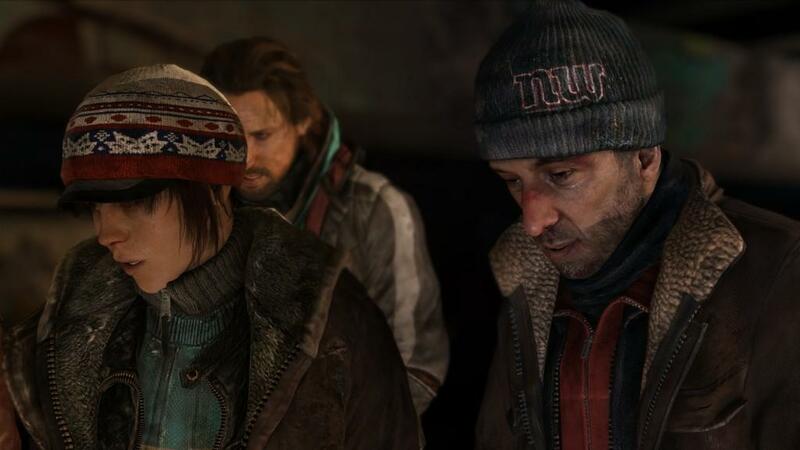 Beyond: Two Souls is essentially an interactive drama/adventure game. You move Jodie around using the left analog stick, which means you don’t need to press the R2 button to move the character forward like in Heavy Rain. The player engages in simple button prompts and motion movements using the controller to perform certain objectives. During some parts of the game, you need to either dodge or hit enemies using the right analog stick. In a sense, it reminds me of certain gameplay elements from Quantic Dream’s previous game, Indigo Prophecy, since you use both analog sticks to execute certain actions. The main gimmick is, of course, Aiden. All you do is press a button and you can play as Aiden, thus being able to perform a multitude of new commands. Since Aiden is a ghost, he can possess people, destroy certain objects, choke people, build a shield around Jodie, psychically link her to an item or person, and even heal Jodie and other characters. There are multiple choices to make throughout the game, and there are multiple endings available depending on what you do throughout the story. This also leads to the game having replay value, which many games seem to lack. The game is a technical beauty on the PlayStation 3. I am still surprised at how high quality the animation and character models are, as well as how realistic certain graphics in the game are. I will admit that some things aren’t fully polished over, but overall, it is a great-looking game. The game's music is also quite good, with two composers behind the game’s haunting, yet mesmerizing soundtrack. The two composers in question are Normand Corbeil and Lorne Balfe. Normand Corbeil has, for the most part, worked on the previous two games from Quantic Dream. Lorne Balfe has worked on other games, such as the Skylanders series, the Transformers film series, Call of Duty: Modern Warfare 2, Crysis 2, and some of the Assassin’s Creed games. He has also collaborated with and helped famed composer Hans Zimmer in a lot of music he has worked on. Like I said, the acting is great, and the three actors that steal the show are Ellen Page, Willem Dafoe, and Kadeem Hardison. The game, while not a full-on horror game, does possess a creepy atmosphere at times, especially when Jodie has to take on her first major assignment. Beyond, of course, has it issues. First off, the controls are clunky. Moving your character is rather tricky, since the controls almost go into tank controls, which are not exactly a favorite of mine. This is a minor gripe, however, since you can get used to the game's controls and easily work around them. The biggest problem I have with the story is the method through which it is told. Since the plot jumps through time, the story is chronologically non-linear, and that kind of storytelling can either keep the player invested in the plot, or, conversely, may end in the player not caring about it. At times, the plot loses its punch when you don't receive a consistent reward for going through the story, and this can be rather disappointing. I just wish the story had been told in a linear fashion. If it had been, I would have felt more attached to it, rather than being intermittently invested in the story. I did, however, want to know the outcome of the overall story, and I didn’t feel like I wasted my time with the characters, either. Like I said earlier, I can understand why people do not care for these kinds of games, but I enjoyed Beyond. I think these cinematic games are very cool and require more support from the gaming community. The question for me, personally, is whether or not I like this game more than Heavy Rain. I think I enjoy the story more in Heavy Rain, but prefer the gameplay of Beyond: Two Souls. Both games are very similar, but are different in their own ways. I would recommend either renting Beyond: Two Souls from Gamefly, or those Redbox vending machines, or buying the game to support an IP that will probably be overshadowed by more profitable IPs in the future. I think it’s cool that some developers are upping the challenge to make more than just another adventure game; they want to create a unique experience for the player. 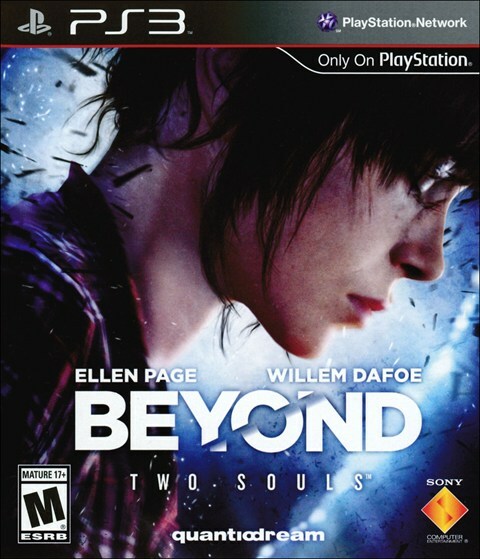 I enjoyed Beyond: Two Souls and I can’t wait to see what Quantic Dream does next.